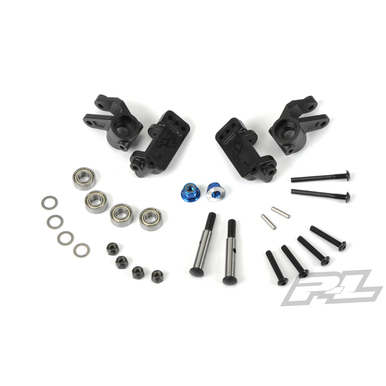 This is a high performance PRO-2 Front Hub Kit for the Slash® 2WD and Pro-Line PRO-2 SC truck. 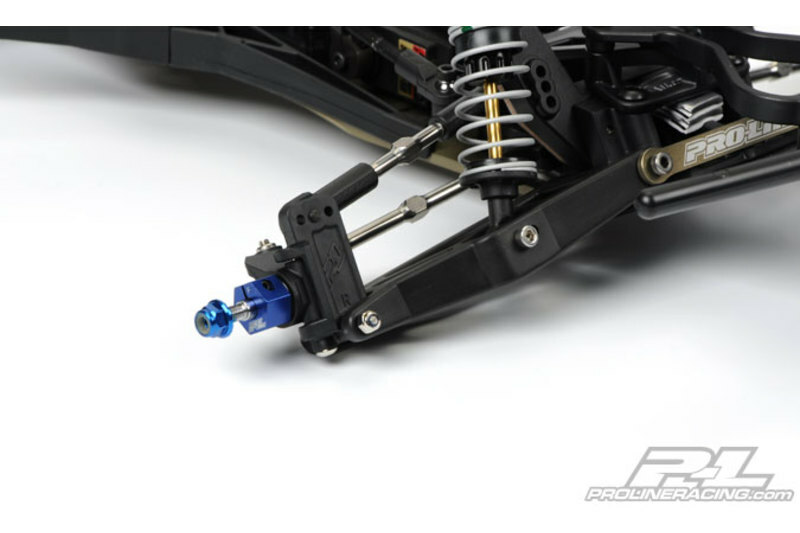 Pro-Line is proud to announce another substantial upgrade for the Slash® 2WD: Pro-Line’s PRO-2 Front Hub Kit! The kit features all new Steering Knuckles and C-Hubs that are more durable than stock, have 2 more camber link adjustment holes and feature Pro-Line’s patented race styling and design. The kingpins and axles are precision made from Hardened Steel for maximum toughness and fit. Camber link and steering link screws are held with locknuts and Pro-Line’s new Serrated Wheel Lock Nuts are included for the ultimate in worry free security. A set of Free-Spinning Ball Bearings complete the kit and keep you running smooth. This kit goes great with our PRO-2 Clamping Hexes. Get your own PRO-2 Front Hub Kit now! The Front Hub plastics can also be purchased seperately. Don’t forget to check out Pro-Line’s other great accessories for the Slash® 2WD, like the PRO-2 LCG Performance Chassis, ProTrac Suspension Kit, Performance Transmission and the PowerStroke Shocks! 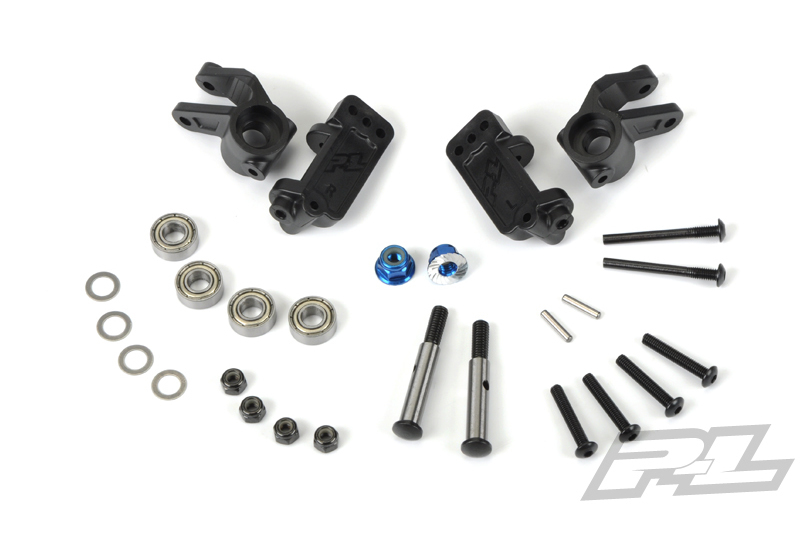 This Front Hub kit is a direct replacement part for what is included with the Pro-Line PRO-2 SC truck kit.